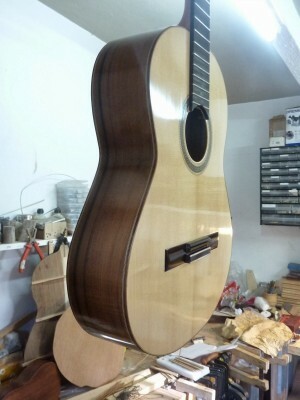 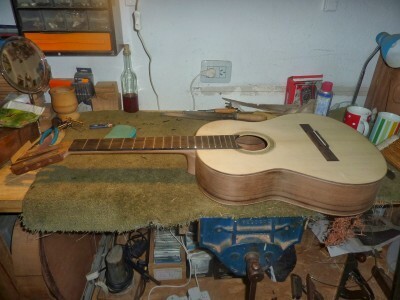 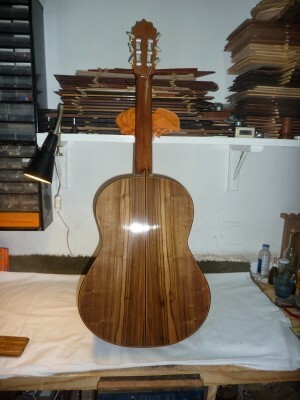 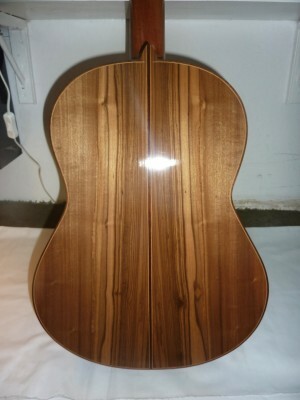 These are a few photos of a guitar I finished at the end of last year which is made of a wood called Guayubira, it comes from northern Argentina as well as Brazil, its Latin name is Campomanesia xanthocarpa. 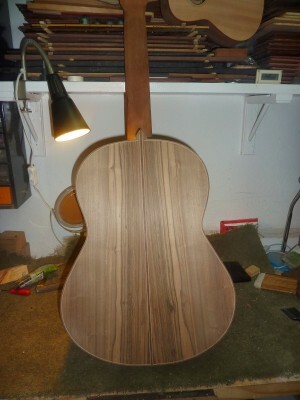 Its a pretty wood with lots of interesting grain and colour variation. 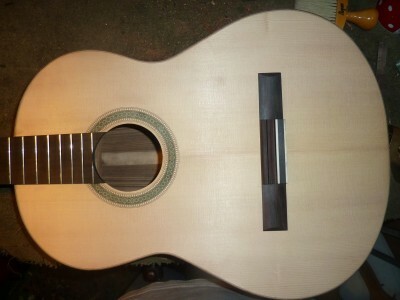 Its easy to bend and polishes really nicely being closed pore it requires very little filling.